MailTime makes email as easy as text messaging. We reformat your cluttered email threads into clean chat bubbles! 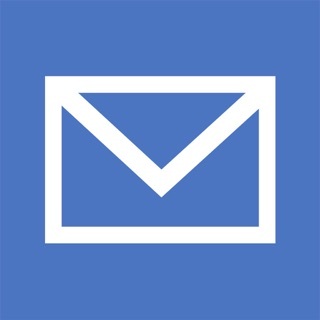 *MailTime Pro connects with an unlimited number of email accounts. The default version of MailTime will always be free, but every additional account beyond the default two will be charged. Email message anyone with an email address on MailTime and send photos, documents and assign tasks right from your phone. We sync all your desktop emails and smartly sort them into conversational emails and newsletters so you can deal with your inbox easily on the go. MailTime works with your favorite email services: Now supports ALL Email Providers! Exchange, IMAP, Gmail, Google Mail, iCloud, Yahoo, Outlook, AOL, Microsoft Office 365, Hotmail, MSN, Mail.ru, QQ, 163, 126, and more! You can add multiple accounts on MailTime Pro for free! Our content parsing engine cuts out annoying metadata to display emails in clean bubbles. View your emails as conversations, not threads! Our intelligent inbox sorts out the Important humans from the newsletters, discounts, and other machine-generated mail in All Mail. Talk to people you care about, not machines! UPDATES: Adding support for Multiple Select! Now users can search within MailTime from any screen using the Spotlight Search. Jump into a new email with 3D Touch, Peek into emails before opening, Swipe a quick reply, or Long Press to expand email bubbles, addresses, contacts and web links with ease. To non-MailTime users, messages appear as normal emails. If you'd like to view the original email within MailTime, you can tap on the corresponding bubble. As featured in Forbes, Business Insider, CNBC, LifeHacker, Fox, and Techcrunch Disrupt Startup Battlefield 2014. Badges does not work. Customer Service response was slow and did not fix issue. Crashed a few times since download. Giving it a chance. I love the concept and it really does make it easier to follow threads of emails when they're presented as message conversation tabs. Nice work.